There is perhaps no more exciting and anxious time than the birth of a baby. At Aspirus, we do everything possible to make your delivery the most comfortable and meaningful moment for you and your family. And for your new bundle of joy, we have everything in place to ensure his or her entry into this world is a secure and welcoming experience. We care for mom and baby throughout the entire pregnancy, from your first prenatal visit through delivery. We offer childbirth education classes and have specialists available to provide care for high-risk pregnancies and critically-ill or premature newborns. 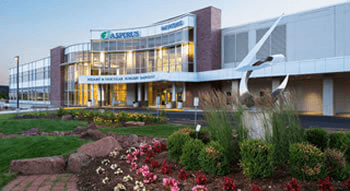 The newborn intensive care unit (NICU) in Wausau provides the added reassurance that world-class care is available within the Aspirus system if your baby needs specialized care after he or she is born. Let Aspirus care for you and your baby and help make your delivery a memorable experience. Our Nurse Navigator is your resource to confidentially discuss wellness, health issues, and explore your options within the Aspirus family of providers and services. Our Nurse Navigator is available for Live Chat during normal business hours, Monday-Thursday. If she is offline, you can leave her a message and she will get back to you as soon as she can. Did you find out you're pregnant? Maybe you're a new parent. In either case, you can have information applicable to you sent right to your inbox by signing up for our Pregnancy or New Parent e-newsletter.